The Beauty of Life: Prescriptives Motor-Eyes Instant Action Mascara Really Gets My Motor Running! Prescriptives Motor-Eyes Instant Action Mascara Really Gets My Motor Running! --Earth Wind & Fire, "Motor"
Curious about motorized mascaras but worried you're going to poke your eyes out? Well, I'm here to let you know they're really not so scary. I've already tried Lancome Oscillation and Estee Lauder Turbolash, so of course I needed to try Prescriptives Motor-Eyes Instant Action Mascara as well. And you know what? I'm going on record and saying this one is my favorite of the bunch! 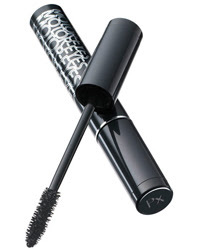 This mascara is meant to lengthen, volumize, lift and curl your lashes. It's also meant not to clump, smudge or flake. Well, I'm here to tell you it does all of these things beautifully! Lashes are longer, thicker and fuller in just one coat -- and there's absolutely no clumping or flaking, so there's no need for an eyelash comb! I think this is the perfect daytime mascara -- it adds just enough length to make your lashes noticeable without feeling too evening-esque. Prescriptives Motor-Eyes Instant Action Mascara retails for $32 at Prescriptives counters nationwide.